(Top) The Q3 is priced competitively among the group and directly in line with Continental’s and Bridgestone’s offerings. (Bottom) Around the main track the Dunlop’s were instantly competitive with a lap time of 1’30.9, positioning it in third place, 0.4 second adrift of the Continental and 2.2 second slower than the SP. 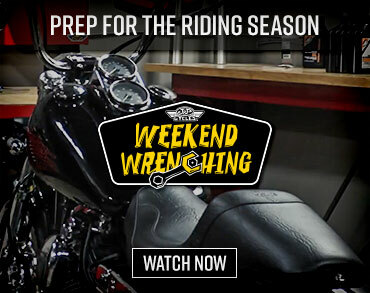 Dunlop believes that one tire should perform in all conditions, and meet all sport riding needs. And for this purpose it sells its Sportmax Q3. Released two years ago, the Q3 is an evolution of its original dual-compound and 2010 Street Motorcycle Tire Comparison-winning Q2. The Q3 is priced competitively among the group and directly in line with Continental’s and Bridgestone’s offerings. It’s also less expensive than the $500 Avon and the high-$400s Michelin. An even greater feat is that the Dunlop is 33% cheaper than Pirelli’s Supercorsa SP. Although the rear tire boasts a competitive weight that’s second-lightest to the Pirelli, the front hoop remains a little on the heavy side joining the Shinko at the plus 10-pound mark. Unfortunately, this negates the back tire’s weight advantage on the scorecard as it places third-heaviest overall. Agile and precise, the Q3 features a favorable construction with impressive grip and stability. 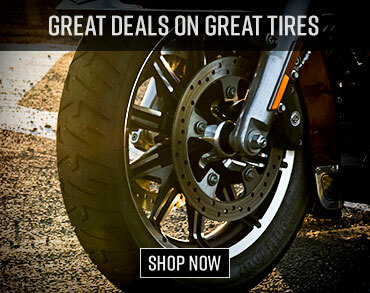 While the tires still have a hint of flex, it’s the right kind, and the ticket to helping you feel comfortable with what’s happening where rubber meets road. Overall, the American-made tire feels a little more rigid than the Pirelli in some areas, yet the Q3 still delivers a trivial degree of squirm during hard acceleration. Though that squirm did make for a more thrilling ride. Since the Dunlops were tested near peak pavement temperatures, the Q3’s benefited to some extent in the Warm-up time category, achieving the second-fastest heat-up time on the fast and flowing main course (49.3 seconds). Although conditions weren’t quite as favorable the next day, the Dunlop continued to shine again recording the second-best warm-up time at just over one minute. Around the main track the Dunlop’s were instantly competitive with a lap time of 1’30.9, positioning it in third place, 0.4 second adrift of the Continental and 2.2 second slower than the SP. On Day 2, the Q3 bettered its position, this time eclipsing the Continental by a full second and closing the gap to Pirelli by 0.8 second. Adding up the times together, the Q3 was second-fastest overall. At either circuit the Dunlop impressed with exceptional performance in each subjective scoring area. Whether it’s handling, grip, stability, or overall feel, the Sportmax does it all with care. It’s also quick to heat up and reasonably priced. While we’d have no qualms running these shoes on our motorcycle at the upper edge of the performance envelop, they’re narrowly outgunned, thus knocking them down to the runner-up spot. At either circuit the Dunlop impressed with exceptional performance in each subjective scoring area. 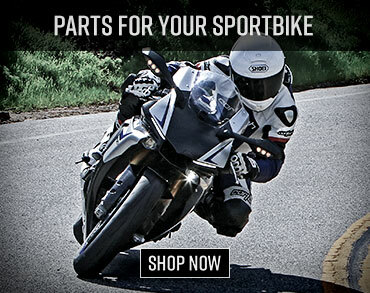 The Dunlop Sportmax Q3 is available at Motorcycle Superstore.